I’ve known of Josh, (read that as stalked), for years. And I am so glad that over the years we’ve connected and collaborated and both formed a mutual appreciation society of one another. I hugely admire how Josh spreads marriage joy and creates ceremony magic for all of his couples, in a simple, yet beautiful, no nonsense kind of way. 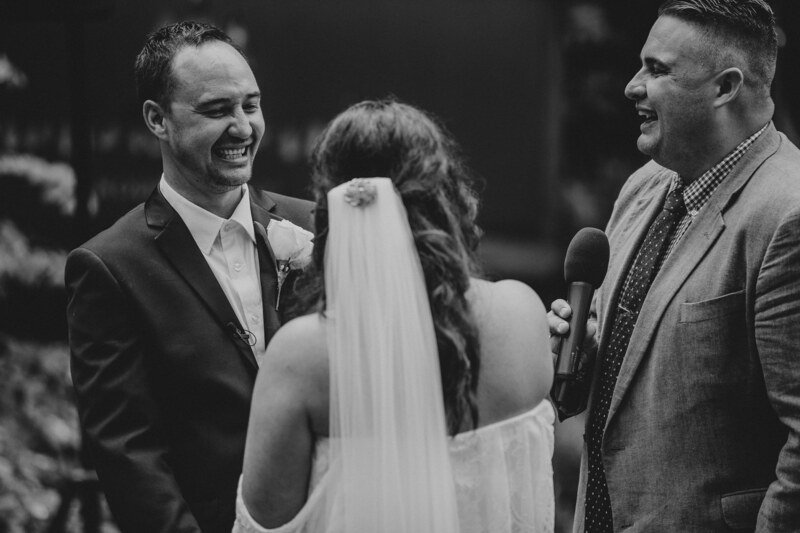 Josh wouldn’t say it, but he has played a huge role in shaping how many celebrants in the Celebrant world see themselves as celebrants and how they work to help couples have a wedding ceremony that is just what they want. He has most definitely helped to kick celebrancy into the modern ages, for sure! So yes, as you can imagine, I am pretty much dabbing around my office now with excitement. Getting to feature a spotlight interview on Engaged and Ready with Mr Josh Withers, and gaining some insights into why he loves what he does, in the ten years that he’s been doing it, yes! I was a breakfast radio announcer. Is there anything about your previous job experiences that is relevant to you being a Celebrant or helps you now as a Celebrant? I’ve always been a public speaker and heavily involved in my local community. I get to travel the globe speaking marriages into life, it’s the best! My key advice to couples is to not let all of the wedding “stuff” and “BS” get in the way of you being present in your wedding. Let it happen to you, let your guests congratulate you, and make time for you and your partner to enjoy it. No-one is normal, everyone is weird, and great marriages can make the world a better place. 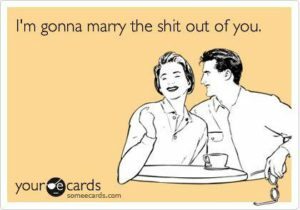 I get to breath marriages into life, that’s an amazing opportunity! Creating a space where my couples feel comfortable exchanging personal and meaningful vows. On top of a mountain somewhere, millions of miles away from anywhere, just the three of us exchanging raw and meaningful words. In the ten years I’ve been a celebrant I’ve seen guest lists get smaller, and I’ve seen the important things rise up, like personal vows, smashing traditions, and intimate celebrations. I love writing and podcasting, I’ve got to get the words out of my head. And that my friends is awesome Marriage Celebrant Josh Withers. For more about Josh you can check out his profile here, or his website right here. And do you know what, although Josh is an Aussie and does most of his ceremonies in Australia, he actually flies worldwide for ceremonies like a real-life Superman. Cool, right?